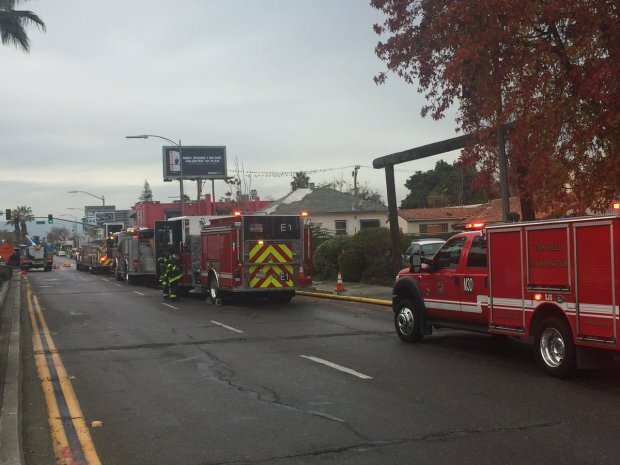 Authorities are searching for a suspected arsonist after an apparent vacant building in San Jose went up in flames. The two-alarm fire is being investigated as suspicious and broke out Wednesday afternoon. Fire crews responded to the call at about 1 p.m. for what was initially reported as a warehouse fire. 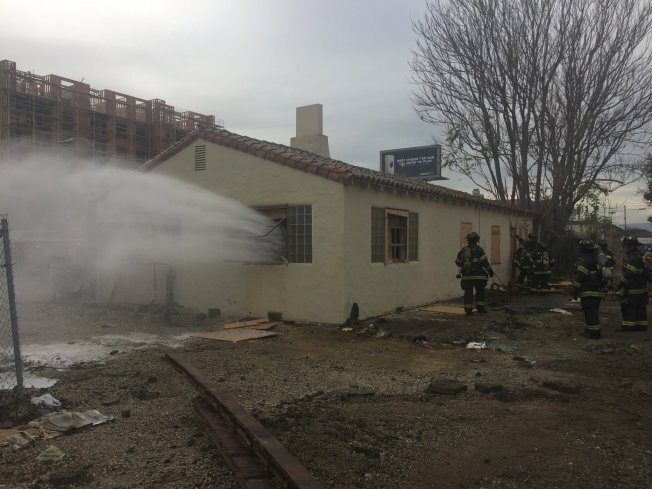 The fire at the abandon building, located at the intersection of West San Carlos and Sunol streets, was brought under control by 1:57 p.m., SJFD Capt. Mitch Matlow said. Neighbors said a group of homeless people had been staying inside the boarded up structure. But after cutting into the building, crews said they found no one inside. Investigators and neighbors said there had been so-called squatters living there, but were removed by police on Wednesday. At least one man was upset about it. "Today there were still people squatting in the building, and there were multiple fires set inside, according to witnesses," Matlow said. Matlow said a similar incident occurred just across the street during this past summer. In that incident there were squatters in the building, and once they got locked out a suspicious fire occurred, Matlow said. Bay City New contributed to this report.